I lean back into the healing waters of the Great Mother. Light that is filled with purpose and intention shines down on my upturned face and I am at peace. The waters that hide the tears of my sorrow and pain rise up around me, now transformed into the gentle caress of joy and comfort. I am whole in these waters. I am free. The waters rock gently and I, cradled as the most beloved child am carried under star and moonlight’s beauty. Ebb and flow, undulating and moving like the pans of a scale finely calibrated and holding the most precious of gems to be measured. Pain and comfort, sorrow and joy each filling one of the two and in their own time and space each becomes the dominant as the other quietly acquiesces to harmonious balance. This balance is one of the Great Mother’s promises. The gift offered at the birthing of new life that would in time succumb to death. The gift offered with each challenge that would stimulate the necessary growth to continue on in this journey of life. The gift of beauty where most would see none and the discernment of what lay hiding in the shadows, thinking itself not worthy. My mind floats on this sea of light and my heart surrenders to the imminent waterfall that lay at thee most unexpected of turns. Just around the bend. Just in the line of sight, yet ever unnoticed and unheeded until the leap of faith and plunging of great depths calls its seeker home. I open my eyes and the light of fullness is more than I can bear, its all consuming beauty swaddling me in what cannot be articulated and measured by these graceful hands. Just breathe I tell myself and the waters flow into a thirsty mouth and throat longing to be bathed in the purity of its healing light. And, filled with the buoyancy of this light I arise, holding the scales of healing. I arise reaching into the expanse of the Great Mother’s heavens. This is the night of my be-coming. This is the re-making of myself in wholeness and strength. This is the ocean I will seek at each turning of the Full Moon as I lay beneath a surface that reflects the Love of my Mother’s comforting embrace. The Moon waxes full in the Cardinal Air sign of Libra tomorrow morning and restoration of the balance and healing is needed. These short weeks between the last full moon and this have seen sorrow and loss rising like tidal waves with barely a breath caught in between. Nationally, locally and personally death has reached out taking with it unexpected loss. Perhaps at the rising of this Full Moon we can reset and find healing. The astrological sign of Libra desires that beauty be found in all places and the resultant gift is one of balance. I am not speaking of a balance that is equilateral in nature; nor is it bound to our human desires for “fairness”. Balance includes those states that are uncomfortable as well as those that bring pleasure; for without the predominance of one at any given time, the other will never rise in its due time. Libra is Cardinal Air; cardinal being the action of catalyzing and motivating and air being the element of movement, perception and the “idea” that becomes the result. All of these attributes and archetypal energies when placed in the fullness of the Moon’s Feminine principle of form and creation provide the tools for beginning the process of healing. Will you lean back into these healing waters with me? Will you hold the intention of seeking the place of balance that is born of challenge as well as ease? Beauty is found in your surrender…. The moon waxes new this afternoon in the astrological sign of Cardinal (beginnings and catalyzing) Libra. 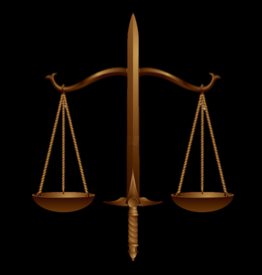 Libra is of the Air element and its symbol is scales of balance. Its focus is that of balancing and harmonizing the mental process through the vision of beauty and refinement; think of image of Venus on the half shell. I decided to do something a little different for this writing and placed the energies available for this moon’s phase in the context of astrological fiction. The piece is entitled, “The Beauty of a New Darkness”, an astrological tale in 3-parts. The Harvest Moon glows brightly and large in the night sky on Thursday in the astrological sign of Cardinal Fire, Aries. This moon brings with it the fires of new beginnings (Cardinal) around how we choose to act ( or react) and exert our will. And, it also brings the gift of refreshing the fires that hold us strong in our power. The Harvest Moon is the full moon closest in date to the Autumnal Equinox (September 22.2017, this year). So, we might say that esoterically, this Full Moon brings with it the energy of a balanced point of space (the Equinox) allowing for the synthesis and integration of what has preceded it and flowing into what will come. This is also bolstered by the annual transit of the Sun into Libra, balance of mind and refinement of what evolves and flows into the next solar month of Scorpio. We are all feeling charred and dampened down in spirit after the events of these past two months. Natural disasters, irrational and deadly behaviors and everywhere loss of life and or the security of home. We have all been effected by these, whether we have been in the midst of the crisis or safe and secure watching from afar; we are all part of the human experience and condition. And, so we feel the rippling out of waves of fear and loss of hope. This full moon is an opportunity to revisit the enthusiasm and unstoppable hope that the innocence of childhood brings. Aries, is the first sign of the Great Wheel and being Cardinal Fire is the catalytic first spark that sets into motion the story woven through each of the astrological signs and stages of development that occur from there forward. It is exactly this energy that we can use to reset our emotions and feed and reignite the flame of hope we carry within. The planet, Uranus, carries the full pulse of electrical charge that is the higher amplification of Mercury’s communicative flash. Its energy is one of pure impulse and works directly on the neural pathways. The Uranus retrograde ( since August 2nd – January 2.2018) has methodically exposed the raw nerve that electrifies our neurological system and the resultant flight or fight instinct. As events have been amping up in intensity and impulsiveness, our autonomic responses have also been heightened. Let’s scale that electrical impulse back a bit and allow the Moon in Aries to cancel out some of the overwhelming charge. Aries is ruled by the planet Mars, another reactionary energy whose prime directive is that of action and movement. What is often overlooked with Mars energy is that we have choice as to whether we move forward, charging blindly ahead and without a plan or take the time to fuel the fires of its action in a planned and intention-filled way that will pull us forward and out of the mire that weighs us down without simply spinning our wheels in futile anxiety driven effort. So, what I am proposing is to allow Uranus to open the pathways and then fill them with the inspiration of Aries’ fires of renewal and let them flush through the darkened emotion ladened waters (Moonscape) bringing light and a vision of hope that is guided by youth’s undaunted spirit. The Libran Sun seeks balance and the restoring of harmony filtered through the conceptualization of thought (Libra is an Air sign). Add this to the mix of renewed hope and clarity and let the strengthening of the Sun restore balance and allow you to see with clarity and purpose. In this way, we are able to choose our battles, speak on behalf of those who have lost their voice, contribute our energy to restoring hope to those who have lost the most and much, much more. In other words, refill your storehouse so that you have the reserves needed when you are called upon to help another. Has been is and will be. Will begin the cycle anew. For the potential I see. Planting and harvest will bring. Gift of your place within them. I invite you to take 25 minutes and join me in a pathworking to stabilize and refuel as the Harvest Moon looms large and glows with the warming orange light of renewal. The Moon began its waxing journey at 1:30a.m. (EDT) this morning, in the astrological sign of earthy Virgo. This New Moon heralds the Autumnal Equinox and a solar month that offers the wisdom of seeking balance and harmony, having come from the analytical breaking down of Virgo and reaching towards its future of Scorpio’s intensity. Every New Moon resets the stage for what hopes, dreams, intentions and more that we wish to give a rebirthing energy. Essentially 12/13 moons of first quickening potential and reawakening to what that potential may be. Every effort that is put into this burgeoning phase is not wasted. Which also means that we have choice of being pulled along by the gathering force of stream or being proactive in where we choose to set our course. Because of the cycles and natural rhythm of these events, our New Moon is in the last degrees of Virgo, rather than the usually anticipated same moon sign as solar sign. This also means that we can make use of the most developed of Virgo’s analytical skills and the first primings of Libra’s scales as the New Moon transits into the sign of its soon to be solar companion (at the Equinox on the 22nd), Libra at 6:06a.m., just a few hours later. The Equinox is noted as a time of (almost) equal day and night. In the cycle of annular time; the Equinoxes occur twice as do the Solstices. Four points in a given year where the laws of cause and effect, rhythm and polarity play out. The Winter and Summer Solstices tip the scales in the burgeoning of increased light (Winter) and the necessary effect of rescaling with the expansion of darkness (Summer). The Equinoxes provide the point of active equilibrium mid-point between the weighing pans of the scales as the arm moves towards its final outcome of increased light or increased darkness. There has to be that point of transition and proof the scales have been calibrated to precisely measure what is placed on the pans. In this case, the Autumnal Equinox is the opportunity to calibrate your own units of measure regarding how you will make use of the increasing darkness that was the product of June’s Summer Solstice. The weight has reached its mid-point and with the boost of Solar Libra, we can make use of the solar strength and electromagnetic charge to attract what we wish to contribute to our internal call towards balance. With the proximity of the New Moon energy and its final checks and balances (Virgo), we can choose where and what we wish to refine and re-define. And, on the date of the Equinox, the Moon will have moved into the astrological sign of Scorpio. Scorpio navigates three worlds of expression – that of the Scorpion, hidden and cloaked until provoked. Soaring above as the Eagle, keen-sighted and precise in obtaining the smallest of prey. And, that of the mythological Phoenix; rendering itself to ashes so that a more powerful and radiant bird may be reborn with each iteration. Let’s break it down a bit more. The Scorpion is primal instinct that is cloaked in the comfort of darkness. The Eagle rises from this primal darkness and, still maintaining its primal instinct also employs a masterful level of discernment, in being able to see clearly what lay below and what will serve to feed its survival. The Phoenix transmutes and moves through the darkened ash to bring forth the brilliant light of its flames. These occult (hidden) energies flow through the Moon’s waters as the Equinox provides the transition of active equality of all levels of Scorpio’s intensity. Which of these emerges as the dominant, is up to you. What weighs heavy on the scales of Light! Uranus is the higher vibration of Mercury, the communication master. With Uranian energy that Mercurial gift transforms into pure electrical impulse and directly affects the nervous system at a physiological level. This retrograde energy is focused intention of amping up your sensitivity at both the overt and subtle levels. Additionally, wearing the mantle of fiery Aries first striking of the match, impulse control, agitation and re-action versus response are feeding very nicely from this pairing. Temperance is the cooling balm. Pausing and taking time to gather all the energetic sparks into a useable and suitable movement towards action will assist the scales of Libra’s mental processes to stabilize and dole out the correct measure of your revved up response. We still have several months to go before the intensity of Uranus lets up. It will be the harbinger of change for the upcoming New Year and we can use that energy to open up pathways of communication and expression that would otherwise lay dormant. Just as technology advances (a Uranian tool) and our choices are becoming fewer regarding not making use of it, the technological upgrade we are receiving as evolutionary growth and spiritual change will continue to advance regardless of our active engagement in the process. Temperance provides the precise amount of allowing the circuitry to open and receive the outpourings and allowing for time to “reboot” for integration. Neptune is the higher vibration of Venus, whose refined manner seeks the harmonious “natural order” to flow. Neptune is also the planetary ruler of Pisces, the sign of well-honed compassion, understanding and heart. Where Uranus has been short-circuiting, Neptune has provided both the healing waters and the watery conduit that supports an even larger flare-up. Think exposed wire (Uranus) placed in water (Neptune)! Additionally, the dual impact of these watery energies (Pisces and Neptune) can muddy the waters making it extremely difficult to find the true sight of what lurks below the deepest depths of your personal emotions. The effect can be one of feeling as though you are drowning, held inert and weighed down by feelings and reflections of goals and philosophies that now appear hazy in what their worth is to your well-being. Breathe through this. Yeah, I know the caution is that we, as humans are unable to breathe under water. 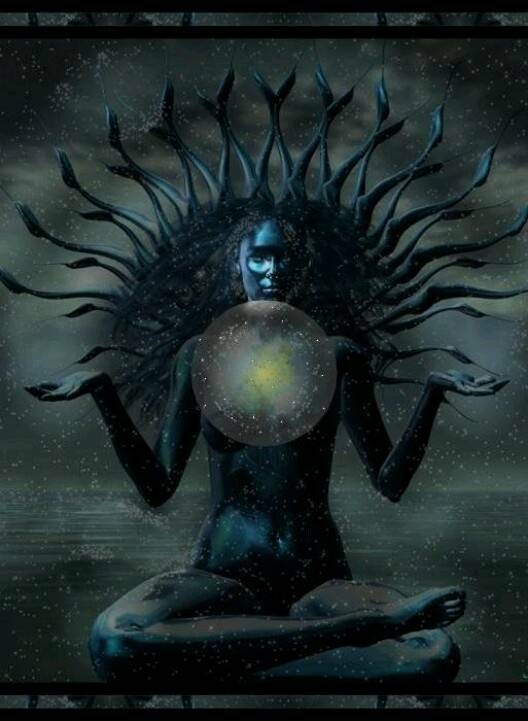 But we, as divine Beings are able to inhale what is needed to sustain from the healing waters of our own dark abyss. Remember that within the darkest of the ocean’s waters, bioluminescent life glows beautifully! Pluto is the higher vibration of Mars, the wielder of active engagement. The armor of Capricorn’s earthy anchoring holds steady and protected the manifest form. Capricorn, the fables sea-goat who is sure footed on the steepest of terrains as well as navigating the depths of waters below, provides Pluto with the tools to claim its power as a manifest being and with Mar’s energy of asserting itself actively, to navigate the rough terrain that would otherwise make unsteady the ability to speak and seek your truths and values. Pluto holds in its domain the gifts of the past, knowledge of the potential of the future as the present remains the mid-point of current expression. The trick is claiming that perspective and calling up some of the Mars energy held within Pluto as you assert/insert yourself into being actively engaged in your life’s journey- past-present and future. Move with Confidence, assured that you will not fall. You may falter but recovery of the inner balance that you possess, will right you if you allow it. So, during this Solar Month of counter weigh and balance, be Temperate in what you place on the scales. Move with Confidence, release your added weight of perceived outcome and just Breathe into the final measure of what can “be”. In the early hours of the morning tomorrow, the Moon will wax full in the airy sign of Libra. Libra bears the gift of the cardinal/quickening modality and as an air/mental sign what blossoms are the seed thoughts that can be woven with will and desire in all efforts of creation. Libra is known typically as the astrological sign of harmony (at all costs), beauty and refinement. Its ruling planet is Venus and so harmony of relationships is naturally interwoven into the expectations of Libra’s outpouring. Being of the Air element, these foci are ones of concept, rather than action (Fire), heart (Water) or physical (Earth) endeavors. Now, let’s scale back the stereotypical attributions and think more clearly on what the definition of “beauty” and those scales of balance, that are the symbols of Libra, can become. We know the saying that “beauty is in the eye of the beholder” and no where does this hold more true than in the endeavors of Libra. The natural strivings towards harmony achieved by the weighing of all possible outcomes is held most often not in the idealized image of beauty but the state of refinement and clarity that is achieved when all is working harmoniously-that is truly a beautiful thing. Balance, particulalry when we have the image of scales, typically is perceived of as equality. Each scale in perfect balance with the other and a center line of equilibrium achieved! But, balance is most productive when discernment and selectivity are in play. In every equation there will be times when something must be more than (weigh in heavier) than its opposing directive. 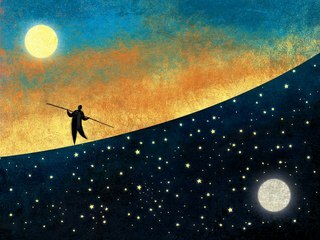 And, as the scales begin to tip too heavily and what was originally dominant becomes overly exerted, the other must rise up, take hold and bring “balance” to what is no longer on point. If, at anytime during this process, both equally exert the same amount of force, inertia set’s in and what may appear to be blissful, soon runs its course and nothing new can be created. So, Libra’s scales that refine and calibrate to create the most harmonious state of mind that sees the beauty held in everything. From that realization of beauty’s many visions, the potential for creation from a mind that is able to envision, weigh and refine what its wishes to bring into manifestation, exponentially becomes more powerful and ultimately more palpable. This Full Moon, with the assistance of some creative allies holds the potential for beginning the work of drawing from the mind, applying the law of vibration through envisioning and recording that vision, and seeing with clarity the codifying of what is a viable product for manifestation. Venus, the planetary ruler of Libra has been retrograde since March 4 and is gearing up to loosen the intensity and station direct on April 15th. This retrograde has heightened the emotional responses and the seeking for justice and refinement of the status quo. Currently, Venus is in the watery sign of Pisces. So that beauty and justice sought after is laden with compassion and idealism regrading how this may be achieved. Applying this intensity to the Libra basking in the full waters of emotive heart can enable heart and mind working together as the creative merging flows. Additionally, Mercury stationed retrograde yesterday, April 9th. Mercury is the planetary ruler of Gemini, part of the Libran, Aquarius and Gemini triad of mental process and breath. Mercury is in the astrological sign of Taurus, giving an earthiness and rooting in of its communicative style. Here we have the ability to communicate (through Mercury’s gifts) what it is that we are called to create as Libra’s scales weigh and measure as each idea is created anew. Jupiter has been retrograde since the early part of February and is currently in the astrological sign of Libra. Partner up with the expansive flexibility of Jupiter and create “big”. Now is not the time to limit your potential. Instead, allow this energy to blossom and expand in a flexible way and the ebb and flow that is the natural expansive and contractive nature of Jupiter will aid the process of bringing into balance all the components necessary for a “beautiful” outcome. The Book of Creative Mind is a pathworking I wrote many years ago and have used and shared many times since. this Full Moon is the perfect opportunity to begin your book; light up what you want to create and realize the power of creation contained within each of us. Once you have experienced the beauty of your mind’s creation and the heart-felt strength generated you will know the true meaning of balance and beauty. Blessings of this Full Moon! Click here for the pathworking…. Mother Moon waxes Full at 8:01am (EDT) tomorrow morning in the astrological sign of Libra. Libra is represented as Cardinal (catalyzing and initiating) Air (mental processes and movement). This is an airy energy that moves in a more refined way so it can actualize what it aspires towards. This is a Full Moon of opportunity to establish a harmonious and more centered mental outlook. The Full Moon occurs at the peak of the lunar cycle and as such brings the dynamic of realized potential that is illuminated, expansive and heart centered. 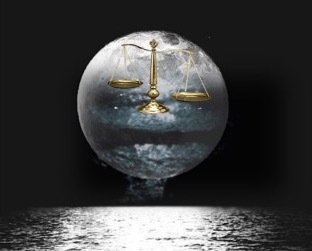 Libra’s symbol is that of the scales, so balance is a theme of this sign; not equanimity; rather a balance that occurs when everything is as it should be with the appropriate amount of energy in dominance that will bring about refinement and productivity. At the pole of opposition is the Sun, now in the astrological sign of Aries, Cardinal Fire. On the Zodiacal Wheel, Fiery Aries is directly opposite Airy Libra. Both are Cardinal signs; these being the prompters and starters of whatever elemental energy is present. Flowing through this Full Moon’s story is that of an emotional (Moon) landscape informed by the flow of new ideas (Libra) that stimulate the desire to strengthen (Sun) the sparks that will feed a newly lit flame (Aries) of creative action. Mind and Heart have the opportunity to unite with just enough tension (balance and the opposition of Sun and Moon) to produce a beautiful and harmonious outcome. Add to this potential, a Lunar Eclipse and Earth (manifestation) as the recipient…. 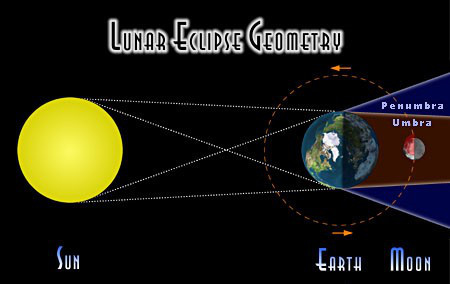 When a Lunar Eclipse occurs, the Earth finds itself mid-point between the Sun and Moon. I see this as an opportunity to infuse the earthly and manifest realm with the strength of the Sun as it gathers to itself the healing of the Moon. In the action of reciprocity, the manifest realm becomes the place of filter for the Sun’s enlivening and the Moon calls into itself a dynamic potency that has been “flavored” by physicality. This is another way to utilize and contemplate the Lunar Eclipse. Within the practice of Esoteric astrology the Sun has a tri-fold nature. Its physical energy is that of the fohat, pure electromagnetic dynamics. The spiritual overlay is that if Prana, pure life force energy that sustains and enlivens us. And, at the level of the individual the Sun is the space of awakened consciousness. The potential of what we strive towards as spiritual beings that has been charged by the flow of solar energy in our physical form. The Moon is the storehouse and keeper of memory and the subconscious space of desires, want and need. This is the space of reconciliation between our physical and mental processes and what it is that our Soul truly desires to make it whole. This is often the deeper disparity between what we feel to be true and what we know to be true. When these are working collaboratively there is no separation between mind and heart as each informs the other. The Earth is the place of our inner and outer journeys. The outer is one of physical experience and the weight of responsibility held in what that physical experience has as offering. The inner journey is one of recording the lessons of these experiences, the acceptance of the effects of what we cause to be and what visions we infuse to quicken this lifetime. This is the place of service and the yearnings to make whole that service in offering to the Divine. The experience of these three planets of alignment as the lunar eclipse comes into focus of energy is one of wholeness. It is one of moving into a collaborative state with the physical you, the will-filled you and the you that remains outside of space or time that is reflected in our Higher Self. 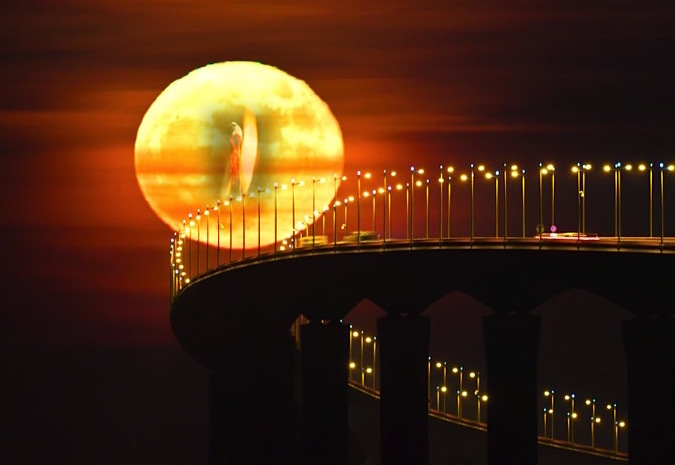 Please enjoy an audio recording that may be used as a reflective meditation as the Moon rides high in Libra…. On March 25th Saturn joins Jupiter (Retrograde on Jan. 7)and stations Retrograde in the fiery sign of Sagittarius. Full Moon in the Afterglow! © Robin Fennelly and Temple of the Cosmic Spheres, 2013-2018. Unauthorized use and/or duplication of this material without express and written permission from this blog’s author and/or owner is strictly prohibited. Excerpts and links may be used, provided that full and clear credit is given to Robin Fennelly and Temple of the Cosmic Spheres with appropriate and specific direction to the original content.